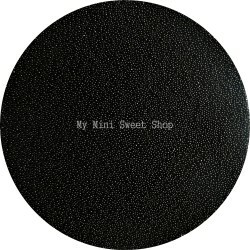 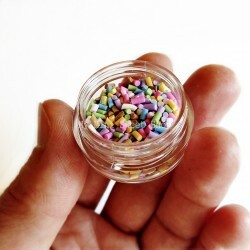 Sprinkles and chocolate chips, colored sugars and microbeads... All for decorating your miniature sweets! 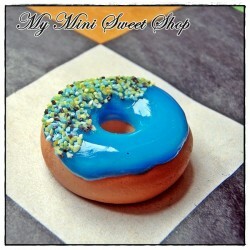 Deco & Topping There are 92 products. 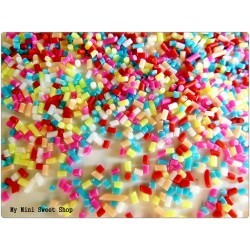 With sprinkles everything looks prettier! 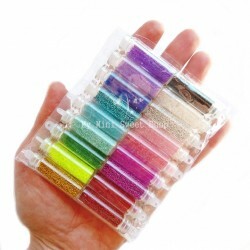 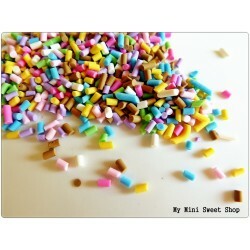 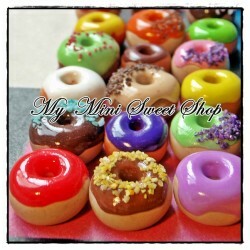 Give cheerfulness and an irresistible appetizing touch to all your creations with these colorful polymer clay sprinkles. 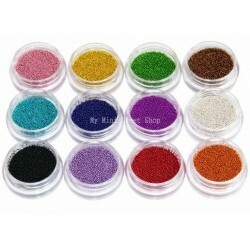 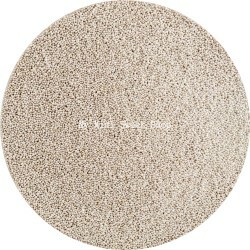 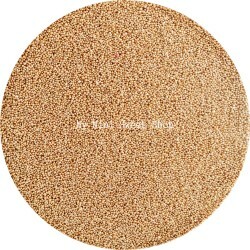 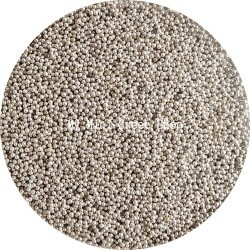 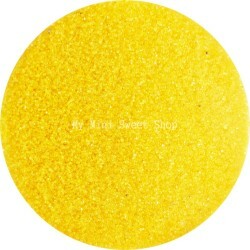 You can also use them for your inclusions in your cabochons resin or to fulfill your small vials. 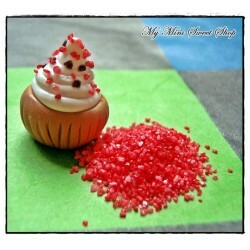 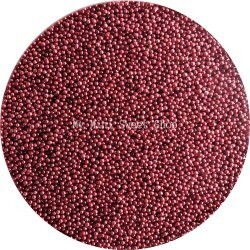 Polymer clay 10g bag Please note that this sprinkles are a decoration and are not edible. 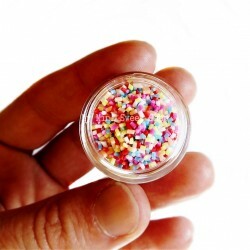 Use this colorful sugar simulation to add cheer and sparkle to your miniature sweets. 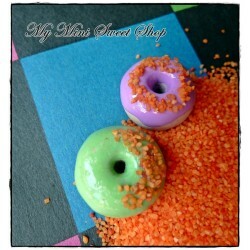 Your cupcakes, donuts and ice cream cups will be much more fun with a touch of color! 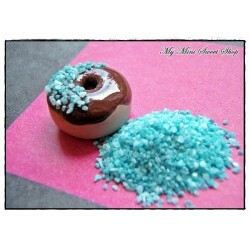 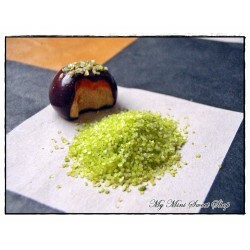 Colour : Dark brown -10g bag Please note that this sugar is a decoration and is not edible.